A sweet and hot tale with likable protagonists. The mystery that drove the plot was a bit on the weak side, but the developing connection between the two main characters was enough to satisfy cravings for intrigue. Uptight CPA and oldest sister, Julie TIlling, is the glue that binds her family. Everyone depends on her to do the right thing. When her friend from high school dies and Julie is the only one who believes he didn’t commit suicide, she takes it upon herself to investigate his death. Damon Corey didn’t come to Maine to become a shock jock. But when his dream career of becoming a concert pianist seems unobtainable, the radio station’s offer is too good to pass up. When mysterious brunette Jewel, hooks up with him at the night club run by a college frat brother, their one night fling wraps around his heart and makes him believe in love at first sight. But can Damon expose his inner soul without pushing Julie away or will his enigmatic shock jock persona become Julie’s sexual undoing and reveal him as the missing piece that solves the puzzling questions surrounding her friend’s death? I can tell you from the get-go that the following review is not likely to be a great one. There are books that can incite strong reactions, either positive or negative. And then there are those that are pretty nice, but don't leave a lasting impression. This book, I must say, turned out to be the latter for me. It was enjoyable overall, had a lot of sizzle…but after finishing I wasn't struck by much. The title of this book is apt in many ways (I love it when a book's title has lots of depth!). The most obvious is that of the hero and heroine of the story, who are introduced to each other under fairly false pretenses. They spend much of the story learning more about what's behind all of the superficial layers. It's that particular aspect of the book that drew me in the most. The responsible, somewhat repressed Julie Tilling has a number of cute and daring interactions with the nominally outrageous (but inwardly sweet) Damon Corey…resulting in both steamy hot and delightfully charming moments. Both characters were interesting individually, which certainly cannot be said of most romances. I'm not going to lie…I was a bit underwhelmed by the element of the book involving the suspected murder of Julie Tilling's childhood friend. To me, it felt more like a plot device that was just there to give the two protagonists a reason to interact. The book is not very long to begin with, but I felt like the scenes and developments related to the initial premise (a one-woman investigation of a suicide that might not be what it seems) were in the background. Even the resolution of this thread seemed jumbled. This is perhaps not a book that one would read for its mystery elements. I'm hoping that the next books, which feature the remaining siblings in the Tilling family, are successful in making sisters Meghan and Dierdre more sympathetic. As it stands, those ladies are…well, they're kind of selfish jerks. ^_^ But that's just my personal prejudice, and has little to do with the quality of the book. As it stands, I do plan on reading on to find out what romantic adventures find their way to the Tilling sisters. And I would indeed recommend it to others. 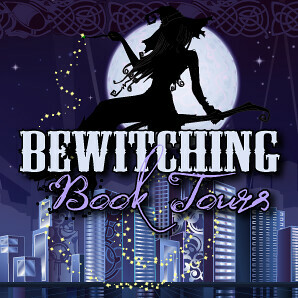 This has been a Bewitching Book Tours tour stop. To visit the other stops for Blind Love, click here. Yep, a thoroughly ok book. I wouldn't be surprised if another friend read it and liked it, though. It's got some qualities that are either hit-or-miss. Hmmm...I hate when a books underwhelms me. I'm so picky right now with what I choose to read to actually avoid this. I don't have much reading stamina for not great books at the moment. And before I forget it: I think it is sad when the author doesn't invest enough into the plot around the romance- for me the love isn't enough to make a book good. 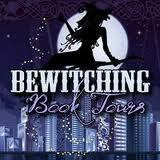 Alisha - Thank you so much for taking time to review my book, I know how crazy busy reviewers are these days. Though I'm disappointed this book didn't just grab your heart and make you fall in love, it does seem to be one of those hit or miss stories with people. That being said, I do hope you'll consider checking out the other stories in this series when they are released.